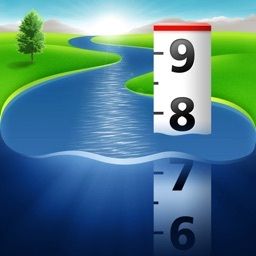 FloodWatch allows users to monitor rivers and streams throughout the United States. 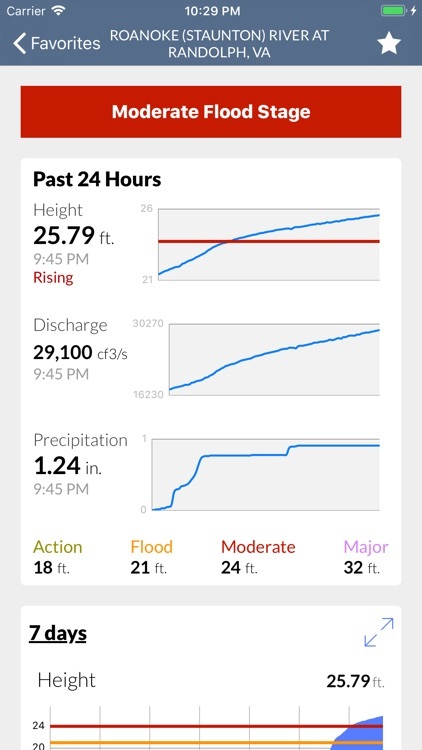 Add USGS gages to your favorites for quick monitoring of current gauge height, precipitation, and flood stage. 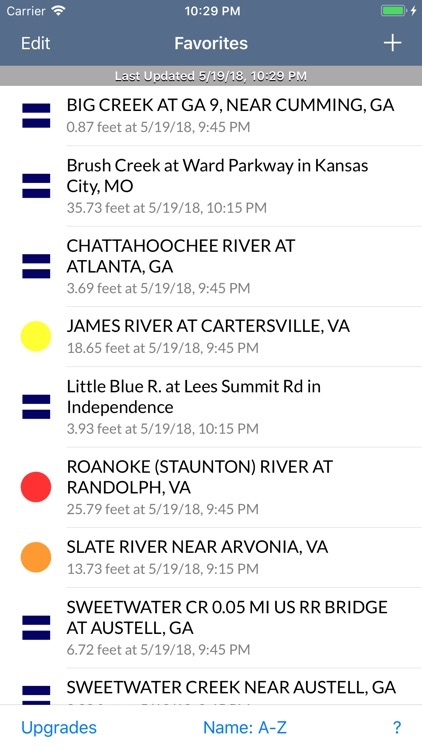 By leveraging data from the US Geological Survey and National Weather Service, FloodWatch presents the most recent and historical river heights, precipitation totals, discharge, and flood stage data. 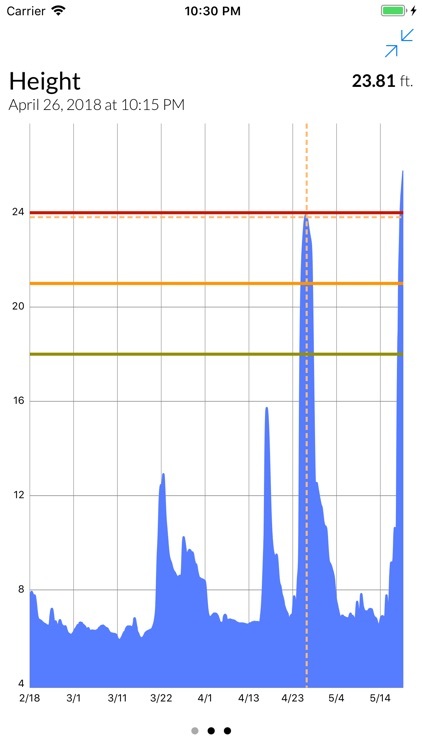 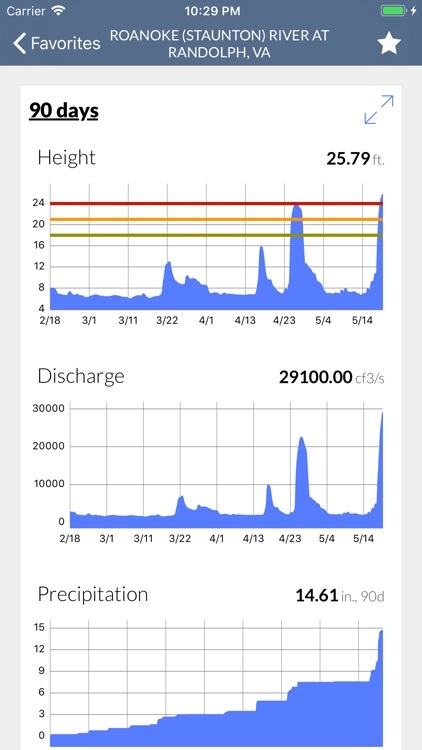 Graphs are available to help you visualize the rise and fall of the river, precipitation, and streamflow. 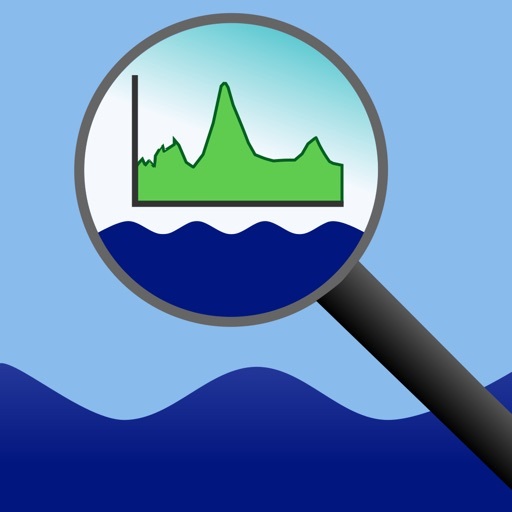 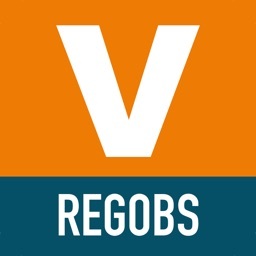 Note that only US Geological Survey gauges with real-time data capabilities are surfaced within the application; not all United States gauges are available. 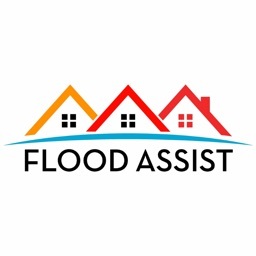 FloodWatch is also geared towards those with interests in or near flood plains. 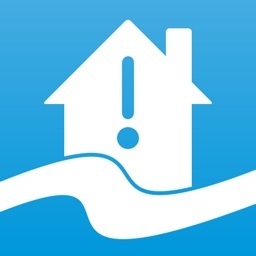 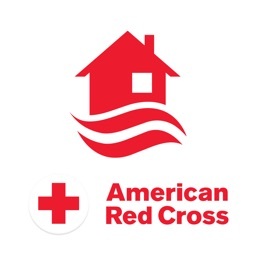 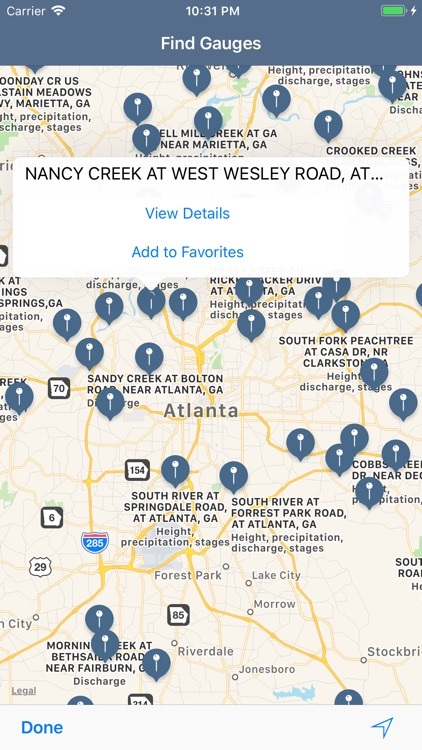 If your home or other interests have been flooded in the past or could be flooded in the future, FloodWatch allows you to easily keep an eye on any potential flooding issues.